Looking for lawn care and fertilization in the Indianapolis, IN area? At BAM Outdoor, we can help you with lawn care or landscape project you may have. There is a lot more that goes into having the type of yard you can be proud of, than simply cutting the grass each week. We have been serving the people of Indianapolis, IN and the surrounding areas since 1999, and know how to help you get a lawn you can be proud of. Our trained specialists know how to create a green, nearly weed-free lawn, and do it quickly. A great lawn deserves regular, consistent treatment to produce the best possible results. We recommend 2-3 applications for the season. The first visit is designed to promote recovery from winter stress and early spring greening. We also apply weed control and crabgrass control, weather permitting. In the spring, your lawn needs extra nutrients to maintain color and density. While delivering nutrient treatment, we also inspect and treat weeds in your lawn. Crabgrass control may be reapplied if necessary. Summer conditions can stress your lawn. To prepare for the warm season ahead, we fertilize, look for problems, and treat surface-feeding insects and weeds as necessary. Care continues with a summer fertilizer application that helps maintain color without encouraging excess growth. Weeds will be treated if necessary, and if grubs are present, we recommend a control option for you. Your lawn needs help rebounding from summer stress. 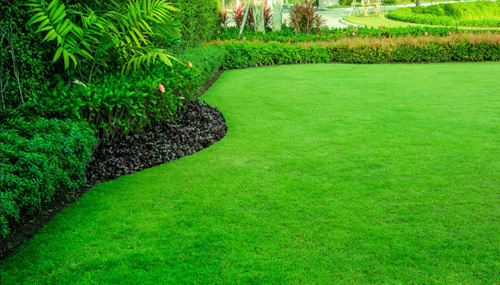 We provide proper fertilization to facilitate recovery, and treat for insects and weeds as necessary. The late fall treatment fertilizes to help thicken your lawn and encourage new root growth. We continue to inspect for weed problems and treat as necessary. The winterizer application promotes root growth and food storage important for your lawn’s survival during winter. Midwest seasonal changes can affect your lawn in a variety of ways. If you are considering lawn and grounds maintenance and live or own a business in Indianapolis, IN contact locally owned and operated BAM Outdoor for a free estimate. Our lawn and grounds maintenance services can be customized whether you need quarterly clean-ups or weekly mowing, weeding and more. We offer residential and commercial lawn mowing programs, offering weekly mowing and trimming for your home or business, we can tailor maintenance plans to include as much or as little as you need. We double cut our customer’s lawn as often as we can to get that diamond or checkered pattern look. Driveway, sidewalks, curbing, etc. are trimmed. Clippings are power blown off hard surfaces. Our cutting height is adjusted for the time of the season. All grassy areas are mowed and trimmed; all driveways, sidewalks, patios, and curbsides are blown clear of debris. This weekly service typically begins towards the end of April and lasts through the month of October. We pride ourselves on being prompt and faithful in showing up for regularly scheduled service visits. At BAM Outdoor our dedicated teams of lawn care professionals truly take great pride in their work, and are dedicated to improving the health, functionality, and appearance of lawns and outdoor spaces throughout the Indianapolis, IN area. The professionals at BAM Outdoor have been crafting innovative, unique and eco-friendly landscape design in for Indianapolis, IN homes and commercial buildings since 1999. BAM Outdoor works with you to customize your outdoor living space for entertainment, functionality, sustainability, year-round beauty, and enjoyment. Working closely with each client to understand their priorities, budgets, and if they require a one-time or phased installation process. Our landscape design experts take pride in transforming your new or existing landscape into a beautiful and functional extension of your home or business while maintaining an environmental balance that supports and enhances your enjoyment of the outdoors. We know that high-quality landscape design is critical for planning and developing a landscape that enhances the value of your home or business. 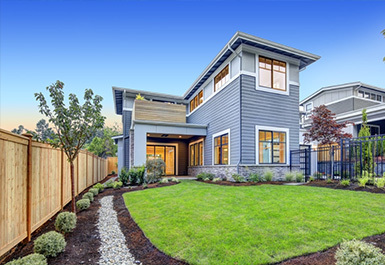 We have experience working together with HOAs and commercial developers to create outdoor environments that are energy-wise and benefit the community. We’re in the business of creating or renovating outdoor areas that become an important and valuable asset of your home, business or development. Contact BAM Outdoor at 317-896-1414 to speak to our landscape design team.